Can you find a red car, a license plate with the letter ''Z,'' or a stop sign? 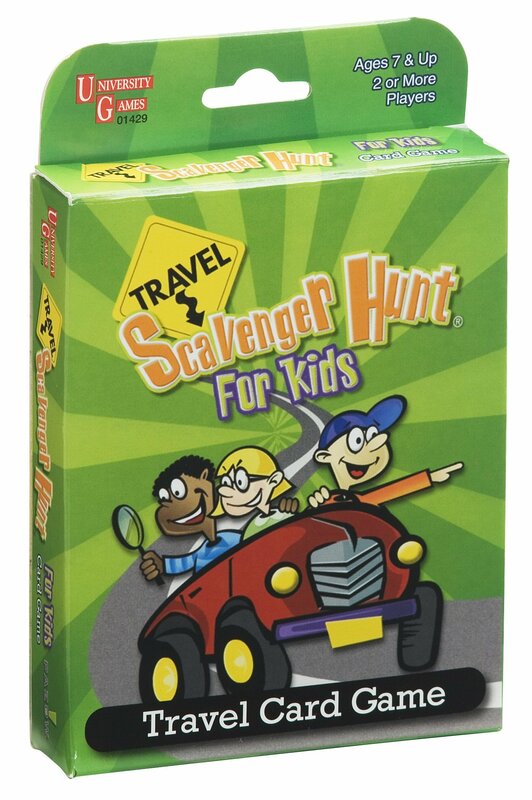 Travel Scavenger Hunt is the ultimate boredom beater and the perfect passengerfor your next family road trip! To play, each player takes five cards andtries to locate various roadside objects. In addition, several funny "HearIt", "Feel It", and "Smell It" cards encourage kids to use all their travelsenses by listening for sounds, feeling for bumps, and sniffing for scents.Even the most restless traveler will enjoy coming along for the ride! From the Manufacturer Our games are specially packages in decorative tin boxes for take anywhere,play anywhere fun. These games are for kids and adults on the go. Sturdytravel boxes are easy to to to the playgournd or on a road trip.